With less than one month to go till Akela 2016 we are thrilled to add Cubs from the Free State to this series of Cubs100 interviews. 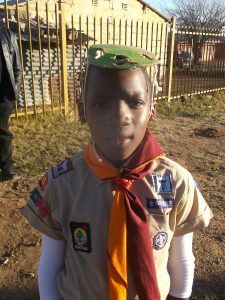 We spoke to Bokamoso Mngoma (9) from 5th St. Peter’s Cub Pack in the Free State. It is fun because we learn new games, we march during church parades and we go hiking. 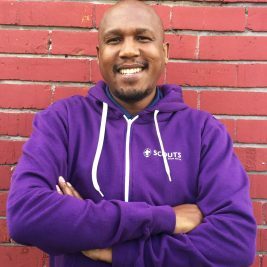 My best experience was going camping. Nothing is tough when you have fun. And we always do! The Erlichpark Fire Station was the most amazing place we went to. By being a Cub I learnt to respect other people and to be polite. We gave people food and blankets on Mandela Day. Now I am a Messenger of Peace! I told my mum that we must share with other people who do not have! A good Akela is friendly and funny! She loves kids, she is always happy and she always has something new to teach us. Cubbing Rocks because … we meet new friends, play games and we learn every time!